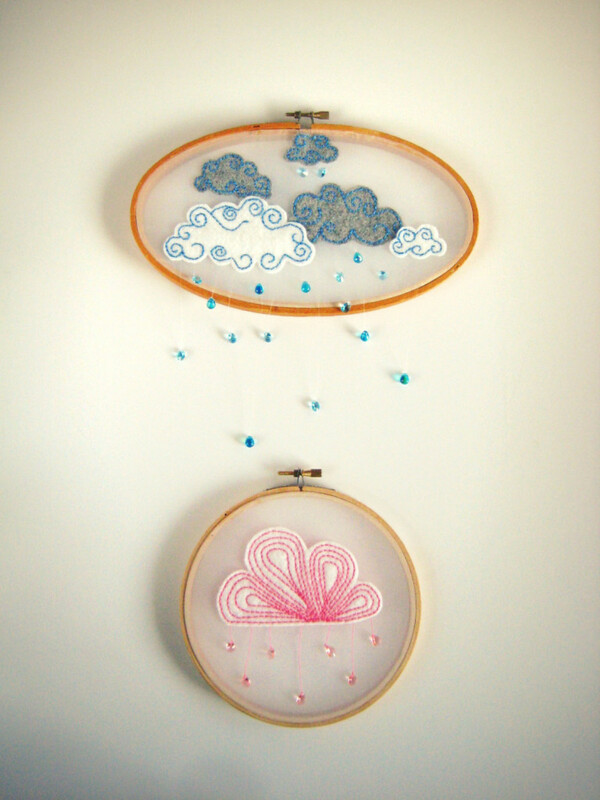 What inspired your embroidery wall art collection? 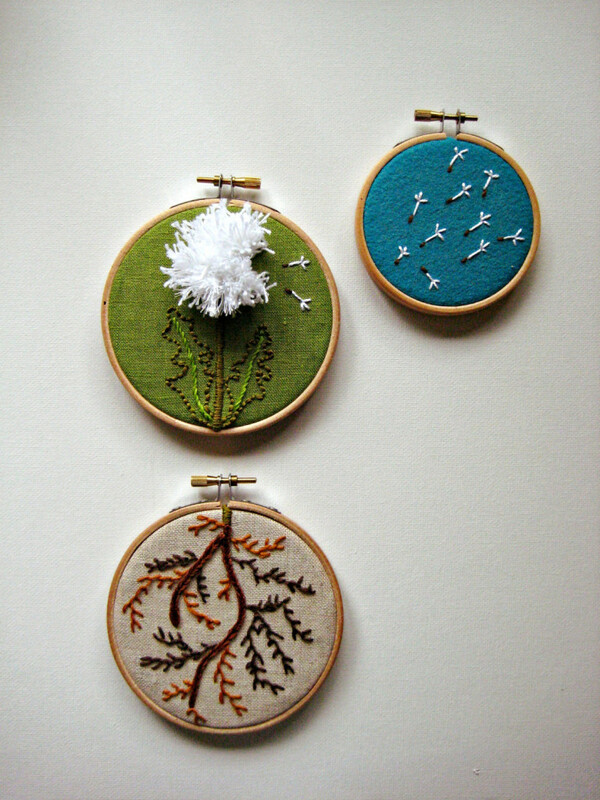 I can’t say that there was one thing that inspired a embroidered wall art collection. Each of the pieces have their own inspiration. Their stories are interpretations of everyday events in my own life I found amusing or mildly noteworthy. My life is far too vanilla for a blog of my own (unless your into the highly underrated sport of couch jockeying). 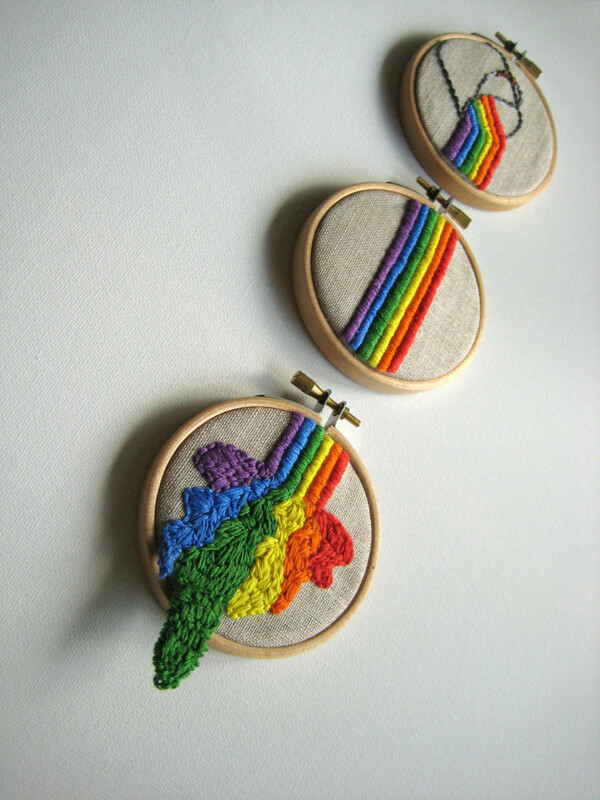 So the embroidery pieces are kind of a means to add a little spice and creativity to an amusing anecdote. I don’t think there is anything vanilla about your shop! Anyone who can make a running faucet interesting, must be thinking of some odd stuff during all that couch jockeying. I noticed you have a personalized embroidery hoop subscription. How does that work? Well, funny story with that. I subscribe to one of those websites that send you emails with fancy designer/artisan things you can buy at a slightly less exorbitant price. Usually the things they’re selling are pretty useless, but one email they sent had the subject line ‘Pig of the Month’. Well, who wouldn’t be sucked in with that title? It turned out to be a subscription service for sausages…that’s right actual sausages. I’m not making this up! Well I figured if you can get flippin’ sausages through the mail then why not embroidery? Art is such a personal experience. Typically you find something already created that speaks to you. I thought the idea of turning that on its head and having embroidery art created and interpreted specifically to you fascinating. Once you purchase the subscription, I send you a short questionnaire to get ideas from you and to understand what style of art you would enjoy most. I then set to work and send you your first piece within a week and another piece every three months after, up to a year. I thought it might be a nice idea for a gift. My dad is one of those irritating people that never give you a clue as to what to get him as a gift, so he typically ends up getting socks. With something like an embroidery subscription you can make a gift so much more personal and thoughtful. It’s also a gift that can’t be stuffed into a drawer so easily, not only because it is displayed in your home but also, with an embroidery subscription you get a new piece every three months – it literally is a gift that keeps on giving. The Monsters Lounge is quite the quirky name. How did you come up with it? The name came before the shop strangely enough. It was sort of inspired by my cat. His name is Nu nu which in Romanian means no NO! These are basically the only words we say to him because he’s so naughty. He’s also very weird. Have you ever seen a cat eat brussel sprouts? This is his favorite thing to do on a Sunday afternoon other than to attack socked feet, roll around on black pants and destroy important documents. He’s a complete monster but also irritatingly cute. One day when I saw him spread-eagle on the floor, lounging in the sun on top of a pair of my very best black pants, I thought to myself “The Monsters Lounge would be a really cool name for a store”. So when I started my Etsy shop which I intended to fill with quirky, weird, outside the box things that I might decorate that store with, I thought of my cat and that was it! Walls already full? No worries! 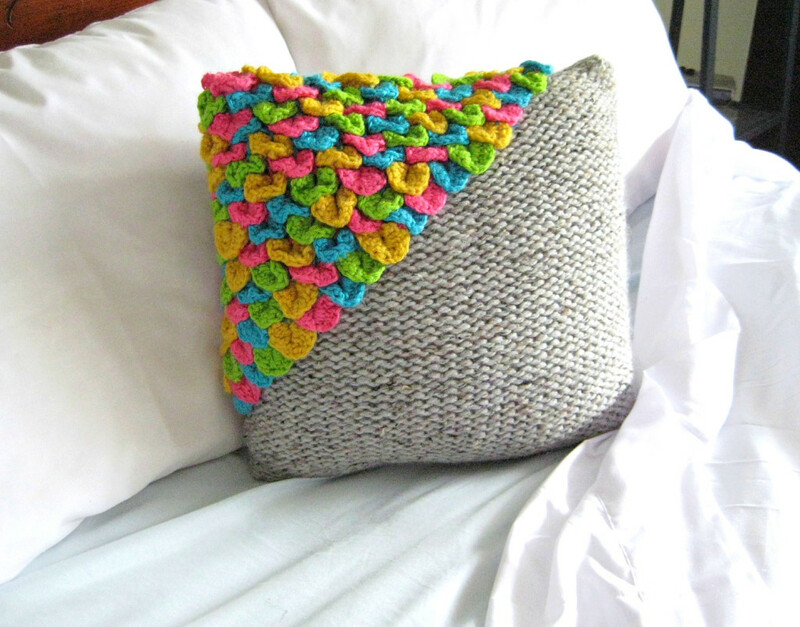 The Monsters Lounge also carries handmade home decor like this cool neon crochet pillow.